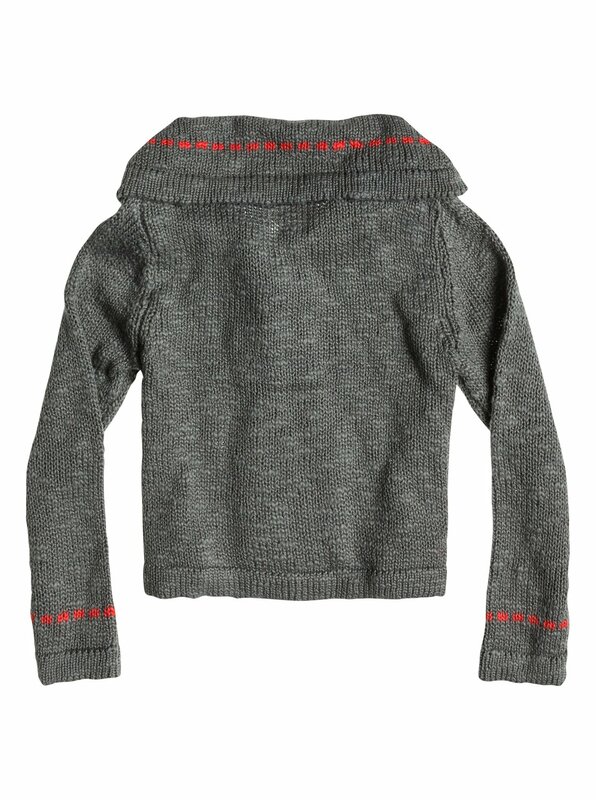 You know she's going to look absolutely adorable wrapped up in this. 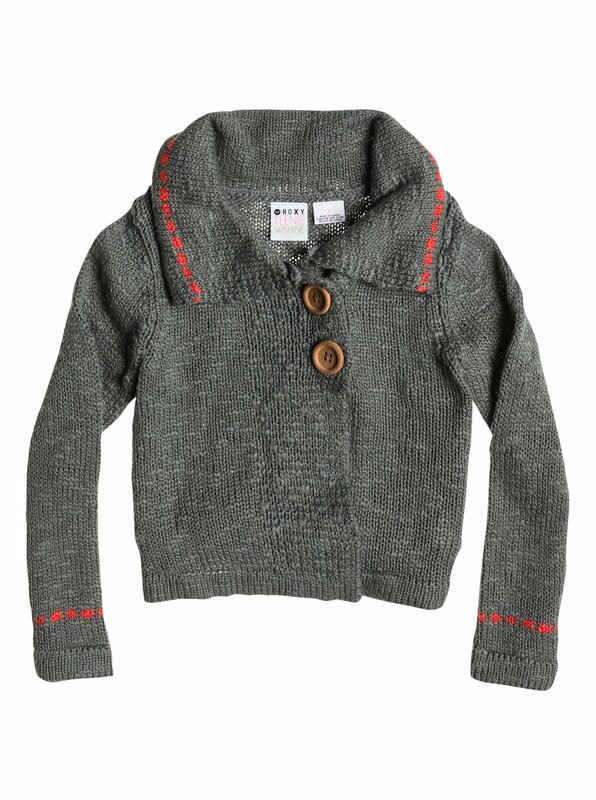 The Pebble cropped cardigan is made from a thick and cozy yarn with a foldover collar and contrast stitching. Includes two large buttons.